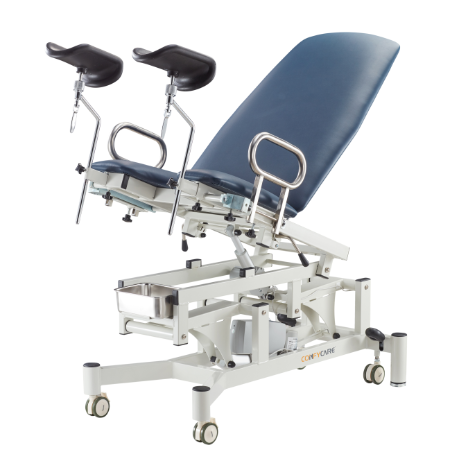 Gynecology examination table provides a stable leg supports by stainless steel , and two Timotion motors for height adjustable & seat lifting. 2. 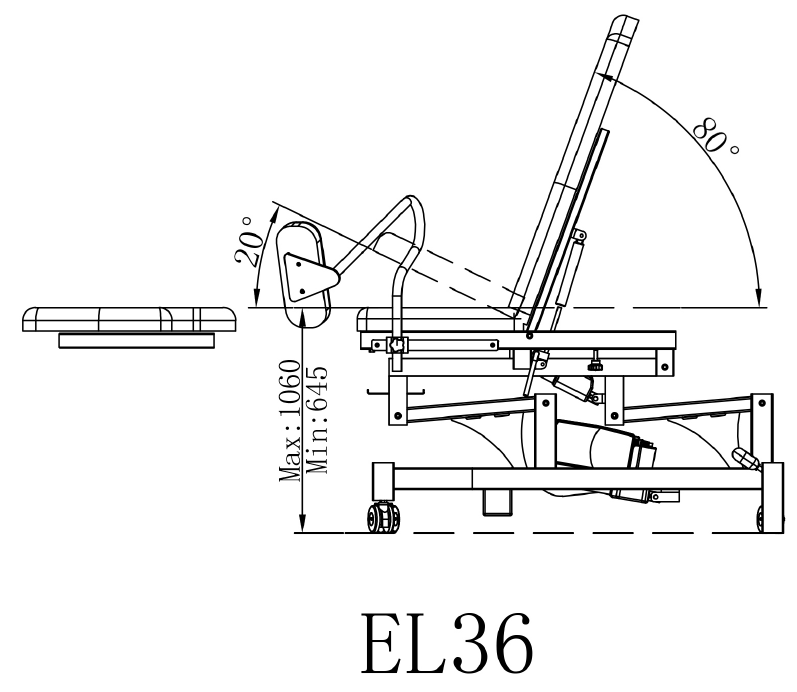 This product have two retractable wheels and two big wheels. 3. 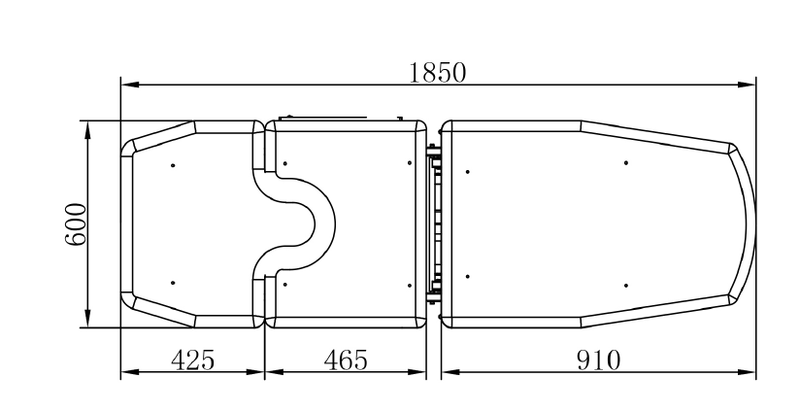 Lift for height variation and middle section by double foot switches. 4. 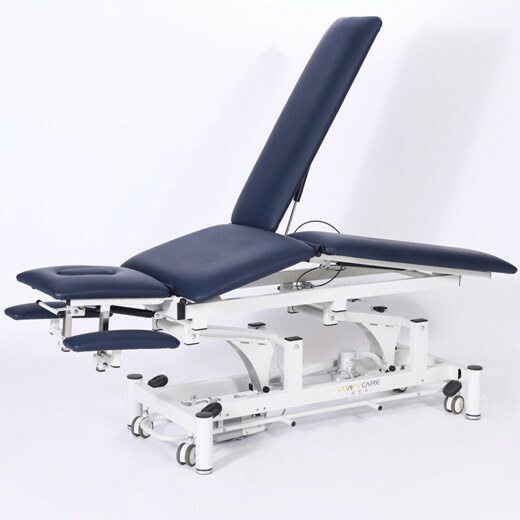 Adjustable backrest featuring double gas struts, angle adjustable from 0°to +80°. 5. 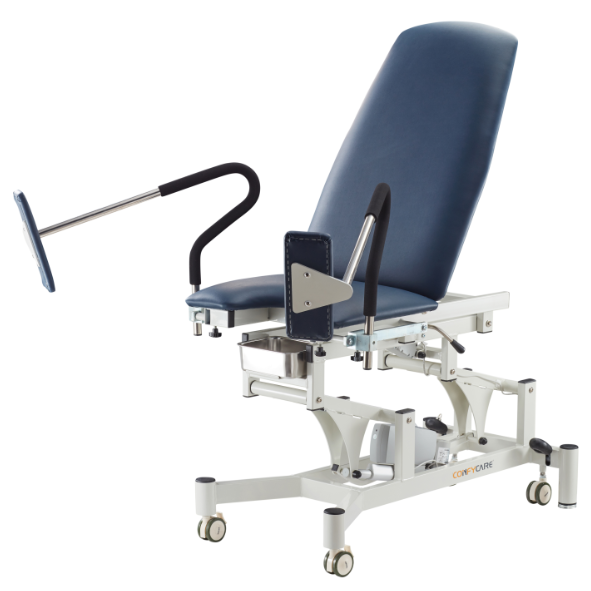 Adjustable seat section featuring one motor, angle adjustable from 0°to +20°. 6. 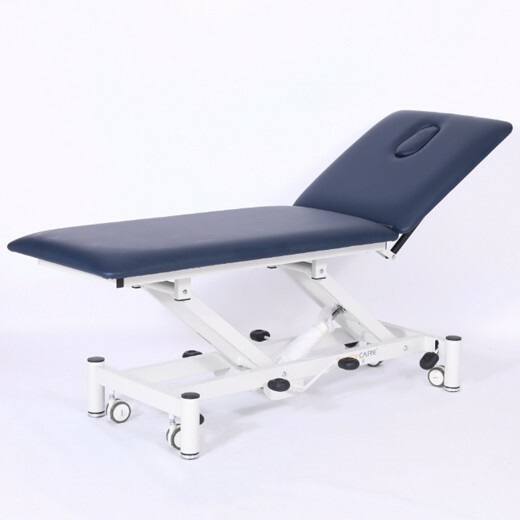 Adjustable Up and down side rails (pair) to protect patients. 8. 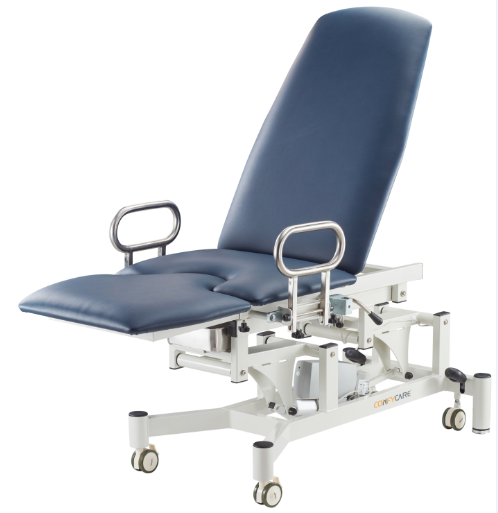 Gynecology Examination Table able to lift up to 225kgs working weight from its lowest height. 10. 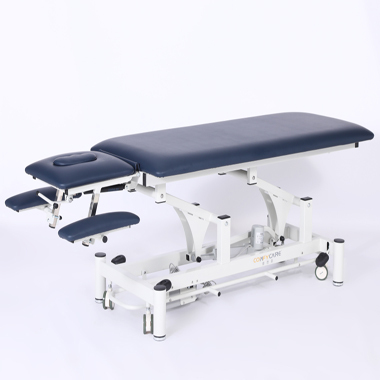 Gynecology Examination Table make a new design for triangular parts. 1. 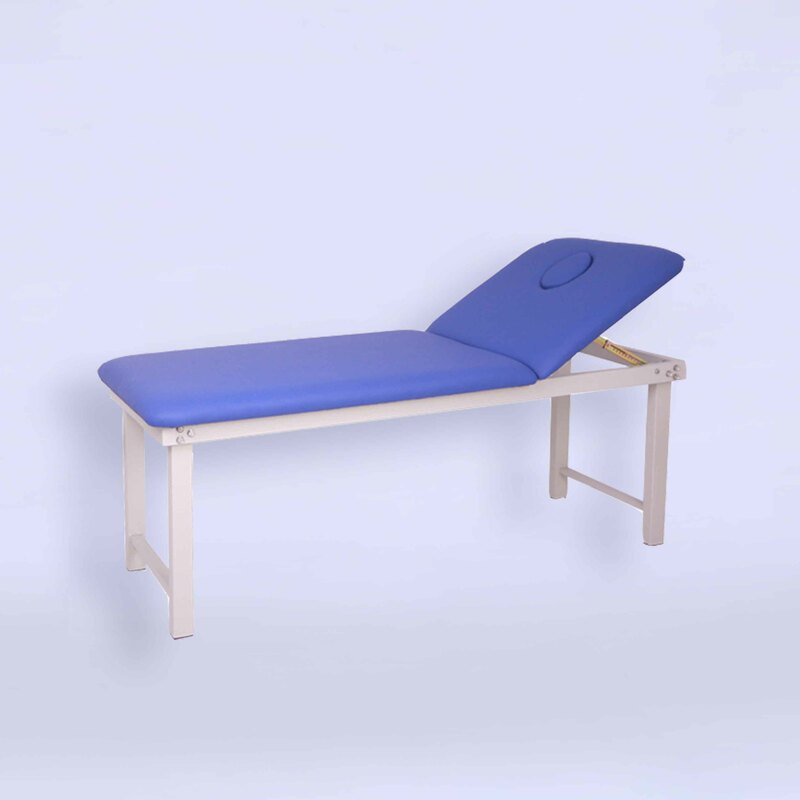 Gynecology examination table use extra 2cm foam thickness for upholstery.